There are many chiptune artists, but not a lot of chiptune bands. 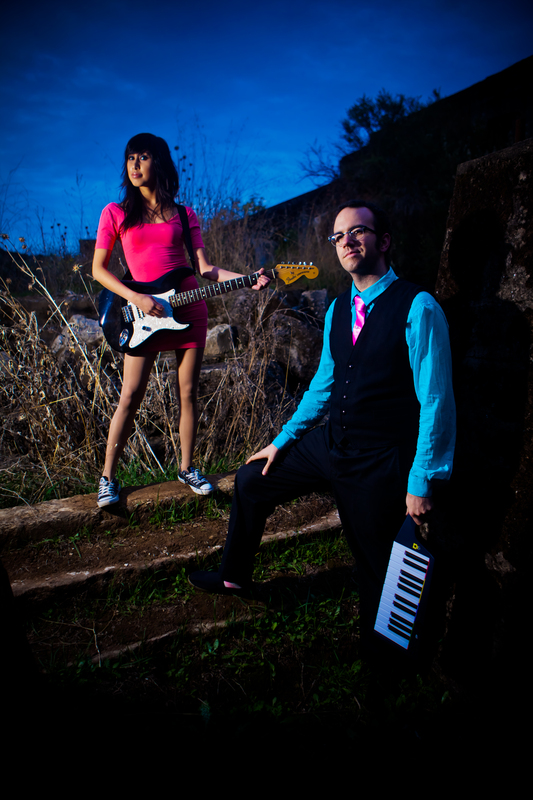 The Glowing Stars — guitarist/vocalist Lizzie Cuevas and drummer/Game Boy synth programmer Matt Payne — combines the clicky waveforms and perfect arpeggios of 8-bit processors with the fury of live drums and distorted guitars. Influenced as much by Frank Zappa and Freddie Mercury as Mega Man and Metroid, the band’s wistfully emotional lyrics are more boy-meets-girl than Game-Boy-meets-end-boss. With customized game hardware sharing the stage with 100-watt half-stacks, The Glowing Stars are half Weezer, half Wario – in other words, utterly unique. Glad to hear about The Glowing Stars. I will be at the show on Sunday to enjoy the set.